November is the month dedicated to the Holy Souls. 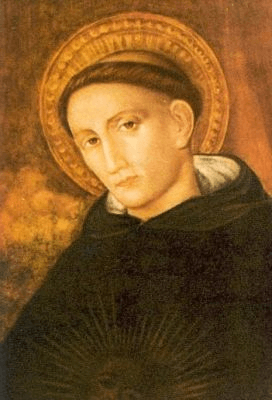 We ask St. Nicholas of Tolentine, Augustinian Friar and Patron of the Souls in Purgatory, to intercede on our behalf for friends or loved ones who have died. O Lord, God of holiness and light, you do not allow any shadow of darkness or evil in your sight and so in your mercy you grant to those who have left this world burdened with sin, time of purification, applying to them the spiritual treasures fo your Holy Church. Hear my prayer and through the merits of Christ, the Blessed Virgin, the Saints and all your faithful people bring to an end this time of waiting for our beloved dead, especially for N.
In your providence you have chosen Saint Nicholas of Tolentine as a special intercessor on behalf of the departed; hear also his fervent pray for those whom I recommend to you through his intercession.